Package: 1 amp of 25 mg *** Product is 25mg per ampoule. Deca-Durabolin® is the Organon brand name for the injectable steroid nandrolone decanoate. This compound came around early in the wave of commercial steroid development, first being made available as a prescription medication in 1962. 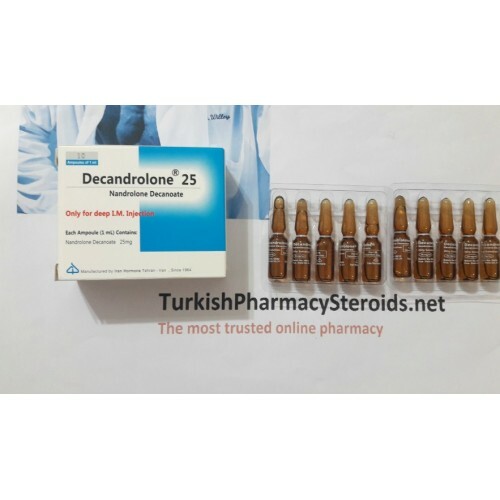 This steroid is an extremely long acting compound, with the decanoate ester said to provide this drug a slow release time of up to three or four weeks. While perhaps true in a technical sense, what we find with further investigation is that the release parameters after a single injection are such that a strong release of nandrolone is really only maintained for one to two weeks. This figure admittedly fails to take into account drug buildup that may occur after multiple injections, which may allow a longer duration of good effect to be seen. Figure 1 is provided to illustrate the release dynamics of a single 200mg injection. As you will see, by the end of the second week levels are already approaching baseline. World Wide "Deca" is one of the most widely used anabolic steroids. Its popularity is due to the simple fact that it exhibits many very favorable properties. Structurally nandrolone is very similar to testosterone, although it lacks a carbon atom at the 19t" position (hence its other name 19-nortestosterone). The resulting structure is a steroid that exhibits much weaker androgenic properties than testosterone. Of primary interest is the fact that nandrolone will not break down to a more potent metabolite in androgen target tissuess'. You may remember this is a significant problem with testosterone. Although nandrolone does undergo reduction via the same (5-alpha reductase) enzyme that produces DHT from testosterone, the result in this case is dihydronandrolone. This metabolite is weaker than the parent nandroloness, and is far less likely to cause unwanted androgenic side effects. Strong occurrences of oily skin, acne, body/facial hair growth and hair loss occur very rarely. It is however possible for androgenic activity to become apparent with this as any steroid, but with nandrolone higher than normal doses are usually responsible. Nandrolone also show an extremely lower tendency for estrogen conversion. For comparison, the rate has been estimated to be only about 20% of that seen with testosterones9. This is because while the liver can convert nandrolone to estradiol, in other more active sites of steroid aromatization such as adipose tissue nandrolone is far less open to this process'°. 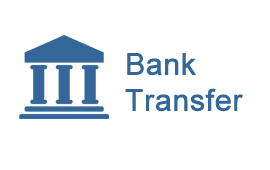 Consequently estrogen related side effects are a much lower concern with this drug. An antiestrogen is likewise rarely needed with Deca, gynecomastia only a worry among sensitive individuals. At the same time water retention is not a usual concern. This effect can occur however, but is most often related to higher dosages. The addition of Proviron® and/or Nolvadex® should prove sufficient enough to significantly reduce any occurrence. Clearly Deca is a very safe choice among steroids. Actually, many consider it to be the best overall steroid for a man to use when weighing the side effects and results. It should also be noted that in HIV studies, Deca has been shown not only to be effective at safely bringing up the lean body weight of patient, but also to be beneficial to the immune system. It is of note however that nandrolone is believed to have some activity as a progestin in the body". Although progesterone is a c-19 steroid, removal of this group as in 19-norprogesterone creates a hormone with greater binding affinity for its corresponding receptor. Sharing this trait, many 19-nor anabolic steroids are shown to have some affinity for the progesterone receptor as well'2. This can lead to some progestin-like activity in the body, and may intensify related side effects. The side effects associated with progesterone are actually quite similar to those of estrogen, including negative feedback inhibition of testosterone production, enhanced rate of fat storage and possibly gynecomastia. Many believe the progestin activity of Deca notably contributes to suppression of testosterone synthesis, which can be marked despite a low tendency for estrogen conversion. Deca is not known as a very "fast" builder. The muscle building effect of this drug is quite noticeable, but not dramatic. The slow onset and mild properties of this steroid therefore make it more suited for cycles with a longer duration. In general one can expect to gain muscle weight at about half the rate of that with an equal amount of testosterone. A cycle lasting eight to twelve weeks seems to make the most sense, expecting to elicit a slow, even gain of quality mass. Although active in the body for much longer, Deca is usually injected once per week. The dosage for men is usually in the range of 200-600mg. If looking to be specific, it is believed that Deca will exhibit its optimal effect (best gain/side effect ratio) at around 2mg per pound of bodyweight/weekly. Deca is also a popular steroid among female bodybuilders. They take a much lower dosage on average than men of course, usually around 50mg weekly. Although only slightly androgenic, women are occasionally confronted with virilization symptoms when taking this compound. Should this become a concern, the shorter acting nandrolone Durabolin® would be a safer option. This drug stays active for only a few days, greatly reducing the impact of androgenic buildup if withdrawal were indicated. "As mentioned earlier, endogenous testosterone levels can be a concern with Deca-Durabolin®, especially after long cycles. It is therefore a good idea to incorporate ancillary drugs at the conclusion of therapy. An estrogen antagonist such as Clomid® or Nolvadex® is therefore commonly used for a few weeks. These both provide a good level of testosterone stimulation, although they may take a couple of weeks to show the best effect. HCG injections could be added for extra reassurance, acting to rapidly restore the normal ability of the testes to respond to the resumed release of gonadotropins. For this purpose one could administer three injections of 2500-50001.U., spaced five days apart. After which point the antiestrogen is continued alone for a few more weeks in an effort to stabilize the production of testosterone. Remember to begin the ancillaries after Deca has been withdrawn for a few weeks, not the first week after the last shot. Deca stays active for quite some time so the ancillary drugs will not be able to exhibit their optimal effect when the steroid is still being released into the bloodstream. The major drawback for competitive purposes is that in many cases nandrolone metabolites will be detectable in a drug screen for up to a year (or more) after use. This is clearly due to the form of administration. As discussed earlier in this book, esterified compounds have a high affinity to stay stored in fatty tissues. While we can accurately estimate the time frame it will take for a given dose to enter circulation from an injection site, we cannot know for sure that 100% of the steroid will have been metabolized at any given point. Small amounts may indeed be stubborn in leaving fatty tissue, particularly after heavy, longer-term use. Some quantity of nandrolone decanoate may therefore be left to sporadically enter into the blood stream many months after use. This process may be further aggravated when dieting for a show, a time when body fat sores are being actively depleted (possibly freeing more steroid). This has no doubt been the cause for many unexpected positives on a drug screen. The fact that nandrolone has been isolated as the "hands-off" injectable for the drug tested athlete is most likely due to its popularity (and therefore common appearance on drug screens). The same risk would of course hold true for other long chain esterified injectables such as Equipoise®, Parabolan® and Primobolan®.On the other hand we find that the use of the oral nandrolone precursors norandrostenedione and norandrostenediol can allow the drug-tested athlete the benefit of an injectable nandrolone, without the same risk for a positive result. A recently published French study makes this possibility very clear. During this investigation it was shown that trace levels of the nandrolone metabolites norandrosterone and noretiocholanolone could be found in human urine up to eight months after a single 50mg injection of nandrolone undecanoate".